After a busy New York Fashion Week, Redken Creative Consultant Guido is across the pond in Milan getting ready for a week of innovative styles, before heading to Paris to finish Fashion Month. 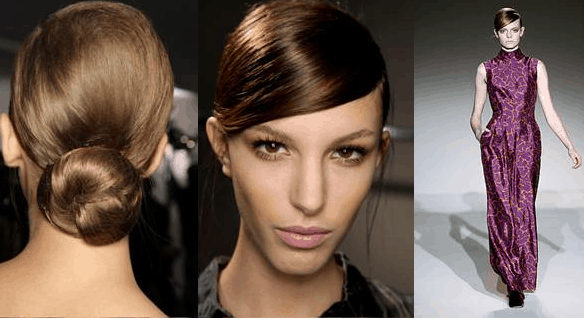 Guido kicked off his week in Milan with the Alberta Ferretti show, and created a very 60s chignon with a boyish swoop over the eye and small pieces left out just in front of the ears. – Finish entire look with shine flash 02 glistening mist for extra sheen on the runway (and for your personal runway)!